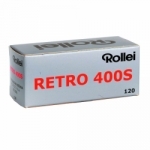 Rollei's films run the gamut, from extremely fine-grained 25 ISO panchromatic, to the superbly flexible 25-6000 ISO R3, to the near-infrared 400 ISO, to the ultra-sharp Ortho 25 ISO orthochromatic. 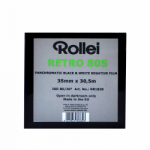 Available in 35mm, 120 and 4"x5", these films meet the needs of the most discriminating photographer who demands nothing less than the very best. Rollei's low-speed and high-speed film developers bring out the optimum results in the R3 film, enabling the photographer to shoot in any lighting situation, studio or on location, bright or dark. And if the photographer wants to coat their own paper-or just about any other kind of surface, for that matter-Rollei's Black Magic liquid emulsion allows them to take their images in exciting new alternative directions.